What’s The Most Contaminated Item in Most Kitchens? Cleaning the Kitchen: The most germ-contaminated room in your house! Everyone knows it’s the cutting board, right? Or perhaps a knife set or cooking utensils? Nope, the most contaminated item in most kitchens is hands. And since you’re taking the time to read this article, let’s say it’s your hands. Your hands come in contact with literally thousands of contaminated surfaces all day long, including other parts of your own body. Your ears, hair, scalp, nose, coughing, sneezing, your clothes. Every single one of these items or actions brings a higher level of contamination to your hands. And your hands are your main tool when you get ready to cook. The answer is C. Wash your hands, and do it the right way, at the right time. The right way includes rinsing your hands, as well as your wrists and lower arms, in warm water. Apply soap and rub vigorously. Get between the fingers, under rings and scrub your fingernails as well. 10-15 seconds of rubbing and scrubbing, followed by another 5 – 10 seconds of rinsing. 20 seconds total. You don’t have to burn your hands off, but the FDA guideline for water temperature is a minimum of 100 degrees Fahrenheit. 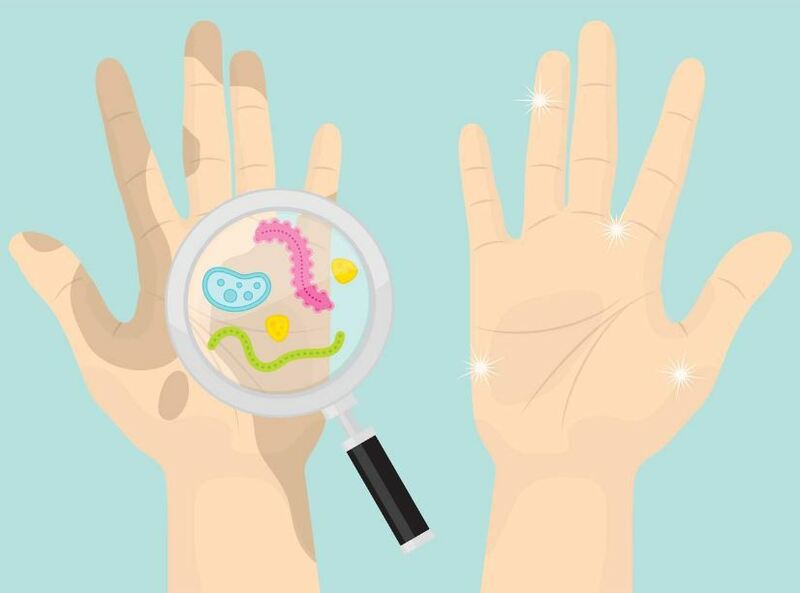 Did you know that gloves are not a substitute for washing your hands? Here’s why: when you put on your gloves what do you use to pull them on? Your other hand. If that hand isn’t washed and clean, you’ve just contaminated your gloves. When it comes to gloves, think of it this way, the gloves are used to protect the food, not to keep your hands clean. Last topic – hand sanitizer. Sanitizer is not a substitute for washing your hands. Nor is it effective unless you wash your hands first. Why? Because it only work on clean hands. Ah, I feel better, now that I’ve washed my hands of this subject. Clayton and his wife Paula are owners of Arista Home Care Solutions, serving families throughout the greater Toledo area, including Lucas, Wood & Fulton counties in Ohio and Monroe and Lenawee counties in Michigan. They are an active part of our community, having raised their six children locally, while regularly volunteering their time to help seniors and others in need. Their goal, first and foremost, is to provide a personal level of professional care for every client they serve.